Great app if you understand the language. By trade I’m an electrician. With this app I’ve been able to identify problems, monitor and log different systems in real time and also save and export the files via email. When I went to buy the extra package for the make which my vehicle associates with, it advised that for my model it was not necessary to spend the extra money as it provided no benefits that weren’t already available with the current version of the app. Now it’s one thing to be able to hear your car talk to you and it’s completely different whether you understand what it’s saying to you. I’ve saved thousands of dollars in mechanic fees by researching how to identify issues and how to fix them. 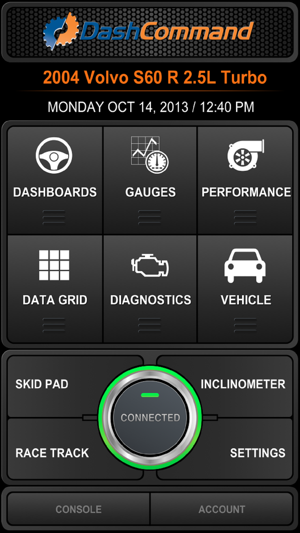 The app just gives you access to what a mechanic is given access to when diagnosing an issue. But the app won’t make you or anybody for that matter a mechanic or able to understand and solve their own problem. At least it can help you to not get ripped off by a mechanic with ghost problems. But it won’t keep you getting ripped off on the service fee for the quality of service received. Many others have explained why this app is worth buying. I'm writing to contradict two negative reviews. One said you can't get back to the main menu after activating a dashboard without shutting down the app and restarting it. Not so. Just tough the screen for two seconds and a menu will appear that allows you to return to the main screen. Second, someone said it doesn't work with vehicles after 2014. Also not true. Works fine with our 2016 Subaru Forester. 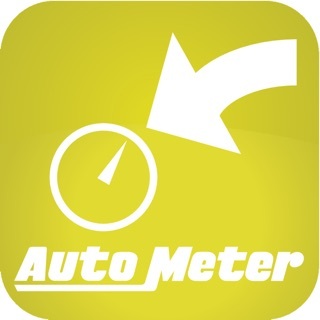 The database that comes with the app doesn't include vehicles newer than 2014, but you can manually input model information and parameters for any newer vehicle. 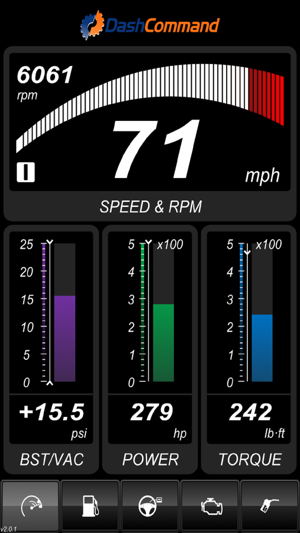 One minor quibble: the gauges on a couple of the dashboards are too small to be legible on an iPhone 6, but you can access the same information in other ways. A fine app. Works flawlessly with Amazon's recommended Foseal OBD II WiFi dongle. The app hasn’t been updated in forever. The UI is like iOS4 is back in style. Yes it works but that may not be the case going forward. When I bought my 2016 truck I had use the 2014 pids. Ended up with an Edge Insight for my diesel truck and used this in my SUV. Bought a new SUV now and have no idea if the 2014 Ford pids I bought as in-app purchase are still valid. Guess this is the new way software works, you write an app, sell it for a couple of years, and then abandon it. One of the recommended hardware adapters is the OBDLink MX Wifi...beware it has serious connectivity issues even from when it was a Kickstarter project. Yet DashCommand still recommends it. Basically with the MX DashCommand won't work. I swapped the MX for the PLX Devices Kiwi 2. It's about 1/2 the price and works great. Now I can give DashCommand an appropriate review. It works great for my application of wanting to continuously monitor a handful of engine parameters. No connectivity issues other than typical iOS mandated situations like switching to another app. 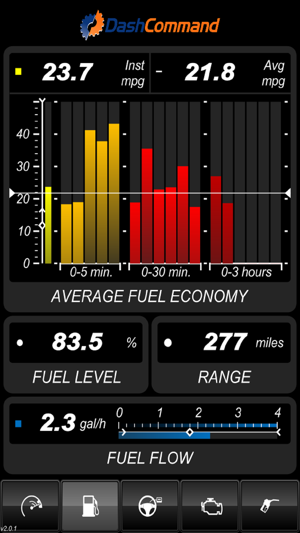 I did buy an in-app purchase for vehicle specific PIDs. All in it's still way cheaper than buying physical gauges and installing them in my truck. I recommend it so long as you've got the right hardware. Wish there was better documentation other than having to post in the forums but at least they're responsive.